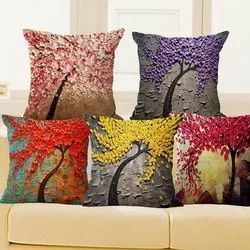 Leading Manufacturer of cushion cover and jute cushion cover from Noida. The home furnishing division at sterling creations caters to both the international as well as domestic market. 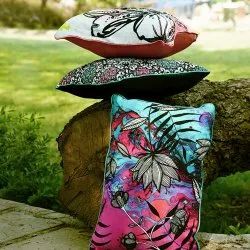 We offer a wide range of trendy bedspreads quilts, comforters, pillows, cushion and upholstery items. We are using fully automatic bed/quilt filling and pillow filling machines. 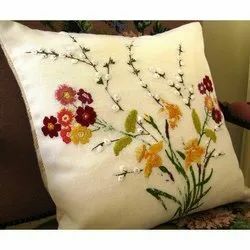 Our fully computerized quilting machines are capable of designing the most intricate of quilting patters. Our aesthetically designed range stands out for innovative use of quilting techniques lends a unique touch to our products.